There is a need for patients to move when being cared for ‘inbed’. Movement can be both intentional and unintentional. Similarly, this movement can be gross or micro movement. Some of the patients’ movements may be made by themselves. Other movements can be initiated by their carers either manually (manual handling) or using mechanical aids. 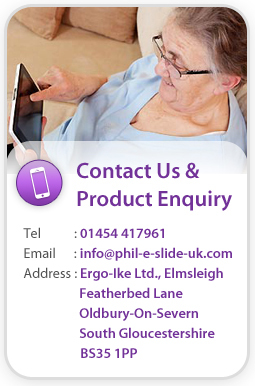 Care providers have recognised and accepted practices protocols, procedures and products based on legislation, regulatory guidance and best-practice plus available technology and thinking. Care givers are expected to follow these (although there may be incidents of conscious or subconscious drift). Yet, despite these being followed, there is still an impact on tissue integrity with some ‘inbed’ patients developing tissue damage, distortion and cell death. Why are there still tissue integrity issues? Even when care givers use the presently recognised and accepted practices, protocols, procedures and products, the patients’ tissue integrity can still be impacted by the type and synergy of their clothing, bed ‘linen’ (e.g. 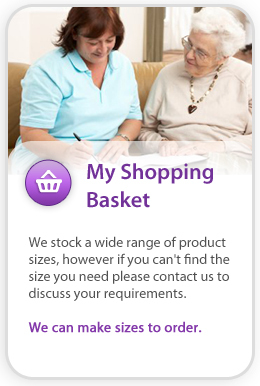 sheets, mattress covers, incontinence aids etc.) as well as their mattress and bed mattress support platform (e.g. bed frame). During any ‘inbed’ patient movement, there can be an increased risk of friction, stiction and tissue distortion of the tissues at the initial tissue surface interface (i.e. where their skin and clothing make contact). This is due to their clothing, bed sheet, mattress cover, bed mattress and bed mattress support platform being made of different materials and therefore having different interface abilities and functions. Put together, they do not have the required multiple interface synergy. The combination of this incorrect synergy and being moved either manually or mechanically works against gravity and can cause the tissue distortion which transcends under the surface and through the tissue layers potentially resulting in irreversible tissue damage and cell death within minutes. Some patients – especially the elderly and those who are unable to move due to spinal cord injury (SCIs) – are more susceptible to Deep Tissue Injuries (DTIs) and less able to rejuvenate/recover from tissue damage. This “Strolling under the skin” video outlines pioneering research into the role of the fascia in our bodies that allows tissues to move freely without transferring movement to surrounding structures therefore avoiding them reaching the threshold of resistance at which tissues might sheer. This system is the body’s natural way (homeostasis) of using gravity and tensegrity to avoid tissue damage. The logical approach therefore is to strive to create an ‘inbed’ environment (external) that simulates and complements the body’s own natural system (internal) for avoiding stiction, friction, sheer and distortion of tissue. As described in our blog, the forgotten interface when caring for patients confined to bed, is their clothing (pyjamas, nightdress, hospital gown etc). In reality, this means that the patient’s body mass interface is not usually directly next to the bed mattress cover. To achieve the correct sliding synergy (and therefore the appropriate stiction and friction factors) the patient’s clothing needs to be of HIGH friction so it does not move on the patient’s skin’s surface but rather moves WITH the patient. Similarly, the interface between the patient’s clothing and the bed sheet’s upper surface (ie that side of the sheet interfacing with the clothing) should also have HIGH friction and should not move on the patient’s clothing but WITH the patient. In other words, a patient’s ‘inbed’ clothing and the bed sheet (upper side) act as additional outer layers of the patient’s (skin) tissue. When the patient is moving (be it self-initiated or by a carer), the important synergy that prevents stiction, friction, sheer and distortion is the interface between the UNDERSIDE of the bedsheet and the UPPER surface of the bed mattress cover (the sliding interface). Both should be of LOW friction to allow movement and to prevent stiction, friction, sheer and distortion when the patient is moving. Once the combination of the “patient/clothing/bed sheet” and “bed sheet/mattress cover” interface synergies are correct then moving the patient by working WITH rather than against gravity avoids tissue loading when reorienting a patient’s body mass on a resting surface. We will discuss this more in part 2 of this blog as well as show how this can work in practice. We will also share the changes we believe are necessary to achieve this, in both EPUAP recommendations as well as current, recommended products and practices.